If you live near Houston, you probably have more cash to spend this year than most. In anticipation of shoppers clamoring – and sadly – clobbering each other later this week for Black Friday deals, the website WalletHub looked at holiday shopping budgets by city. 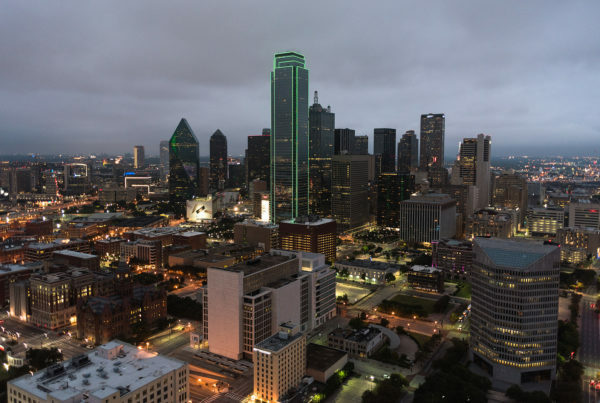 Jill Gonzales, an analyst with the site says the average around the U.S. is about $950, up from 2015’s average of $800 – and that goes up depending on where you live, especially if you’re a Texan. According to their analysis, four of the top six cities with the most money to burn this holiday season are suburbs of Houston. “Number 2 was League City, after that Sugarland, Pearland was up there as well, Missouri City at number 6 and their recommended holiday budget, not necessarily what they will spend but what they can afford to spend, is over $2,000 really up near that $2,500 mark,” she says. A four-day holiday and the brisk November weather makes it a perfect time to camp in Texas. Plenty of outdoor lovers figured that out months ago and have reserved nearly all the campsites in our 91 state parks. Russell Fishbeck is the Deputy Director of Texas State Parks. He says the Thanksgiving holiday is actually one of the toughest times of the year to find a state park campsite. Fishbeck says you can call the state park reservation number and they may be able to find a campsite somewhere. Our spot check of popular parks in South Central Texas showed that from this Wednesday through Sunday there are no individual campsites open at Enchanted Rock; Garner; Government Canyon; Guadalupe River, Lost Maples State, or Pedernales state parks. Fishbeck says even daytime visitors may have a hard time getting in. “We’re having parks close midmorning or early afternoon in the more popular areas, then open later in the day because of capacity,” he says. If you’re hitting the road for Thanksgiving, you’re probably dreading the prospect of getting a ticket. But ahead of the holiday, police officers in Fort Worth made some drivers thankful they got pulled over. Instead of handing out traffic citations, they gifted people with turkeys. And their hashtag? #turkeysnottickets. If only it was Thanksgiving every day.